Tesla’s questionable use of imported foreign labor through a construction contractor have been reported in a lawsuit claiming the companies violated U.S. wage and employment laws. 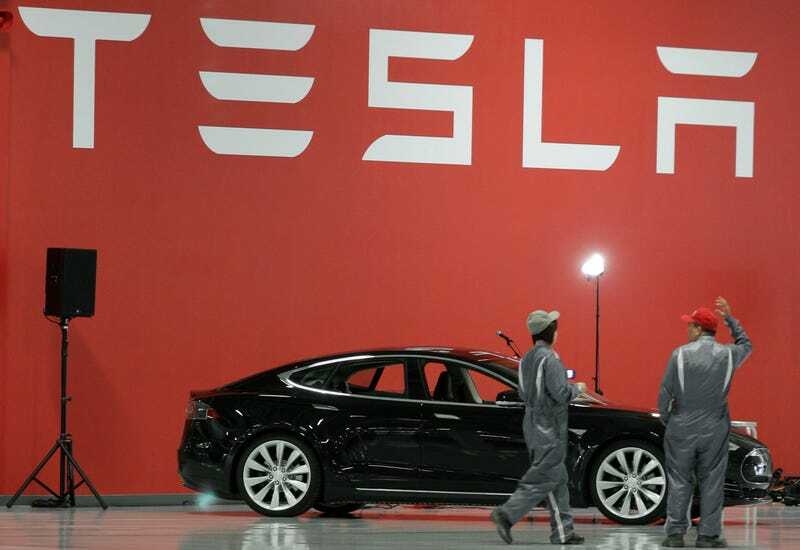 Slovenian electrician Gregor Lesnik claims he was hired to outfit a Tesla paint shop in 2015 by the contracting company Eisenmann. He is suing for injuries he received after falling three stories from the roof of the automaker’s Fremont facility. Additionally, a report by The Mercury News claims that foreign workers like Lesnik employed by Eisenmann worked overtime hours without appropriate compensation at $5 an hour, compared to a claimed $52 an hour earned in the same area for similar work. Lesnik was one of 140 foreign workers hired by Eisenmann for work relating to Tesla’s facilities. His visa listed his job as a supervisor, but he claims he was actually put to work installing ventilation pipes. This type of hands-on work is banned by the B1/B2 visa, which is intended for companies to hire workers with specialized knowledge and experience. After working for three months, Lesnik fell through the roof breaking ribs and both of his legs. He claims he was pressured to return to Slovenia, where he is now suing Tesla, Eisenmann and subcontractor Ism Vuzem hired by Eisenmann for damages and backpay. All three companies deny responsibility, and Tesla was later dismissed from the worker’s compensation case by a judge. When approached about the issue on Twitter, Tesla CEO Elon Musk claimed to be unaware of the details of contracted labor hired by Tesla. Morally, we need to give Mr. Lesnik the benefit of the doubt and we need to take care of him. We will make sure this happens. We do not condone people coming to work at a Tesla facility, whether they work for us, one of our contractors or even a sub-subcontractor, under the circumstances described in the article. If Mr. Lesnik or his colleagues were really being paid $5 an hour, that is totally unacceptable. We’ll update as more details of the situation are available.